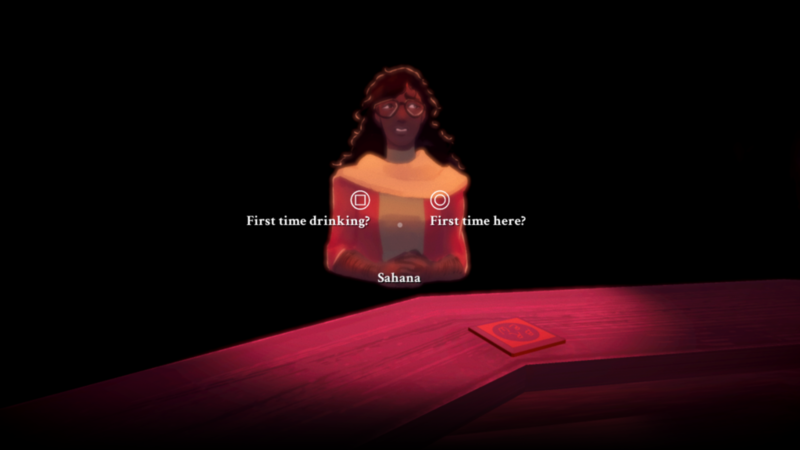 To Be a Better Bartender is a first person bartending game where a different drink served means a different story told. You are a bartender at a mysterious watering hole that only the loneliest can see. 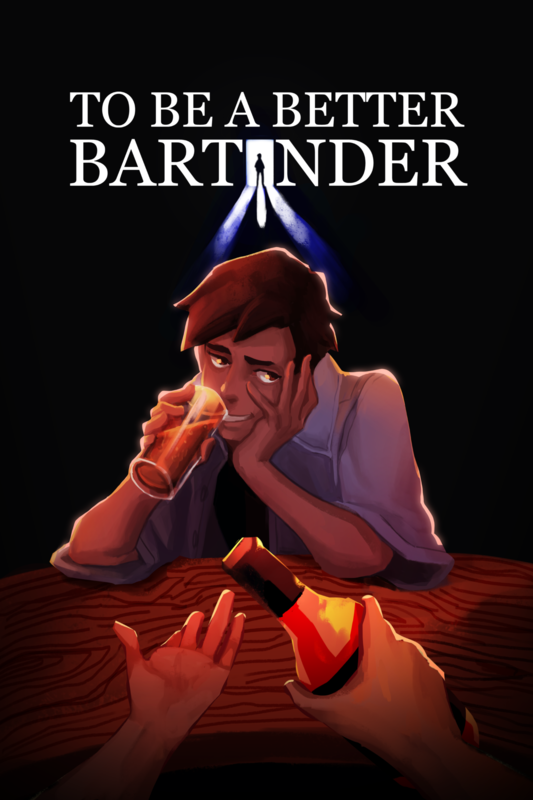 Meet a cast of misfits, outsiders, and loners as they step into your bar looking for a cocktail or two, and hopefully, good company. Serve five unique customers, each with their own take on loneliness and relationship with alcohol. Mix various drinks to meet their various needs and tastes–different drinks give different results. Tend to the bar using a two-handed control scheme. Piece together the mystery of the bar through dialogue with your customers and clues in the environment. In development with Pao Salcedo. 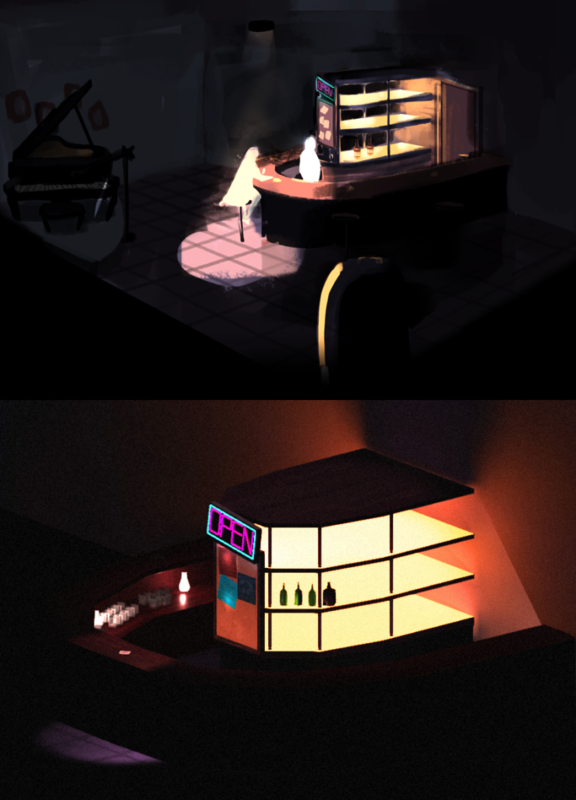 I pitched the idea initially to Pao as a narrative game with magical realism elements, taking place in liminal space. 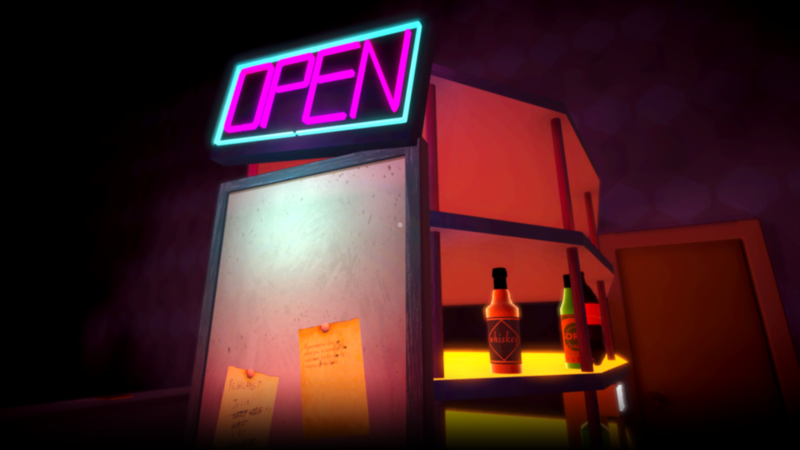 The setting of a bar came to us early, and we went from there, iterating on different mechanics and narrative concepts. My main role can be summed up as the tech artist and narrative designer. I worked on all of the art in the game, and thus I intimately knew how I wanted it to look like in the game. It took countless experimentations in Maya and Unity to achieve the look that I wanted: 2D weaved in with 3D, akin to having a visual novel within 3D space without it being too jarring. Over the course of the project, I learned a lot about pushing the graphics and lighting in Unity, and how to best present Maya assets, high poly or otherwise. As a narrative designer, I crafted the story and scripted all the branches in the game with Yarn. 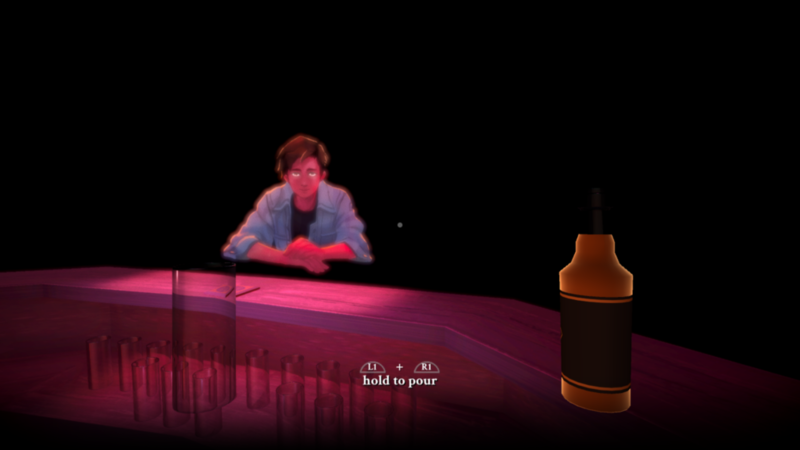 Pao and I implemented the drink choice system together, having the interactions in 3D space result in different branches.